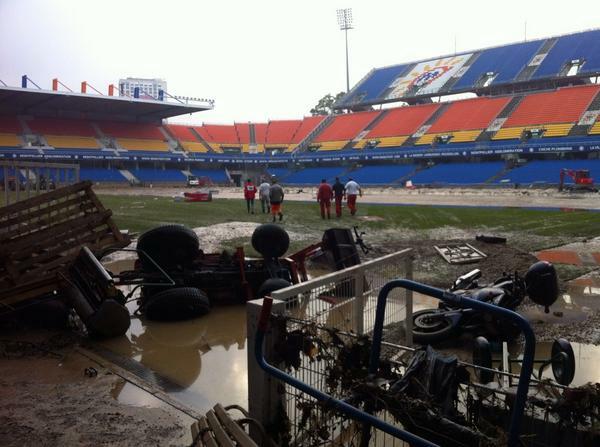 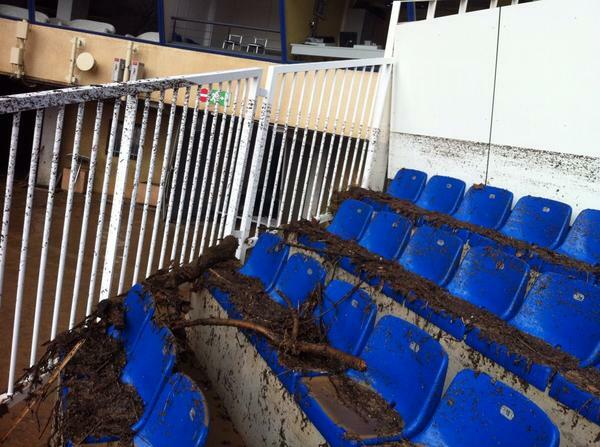 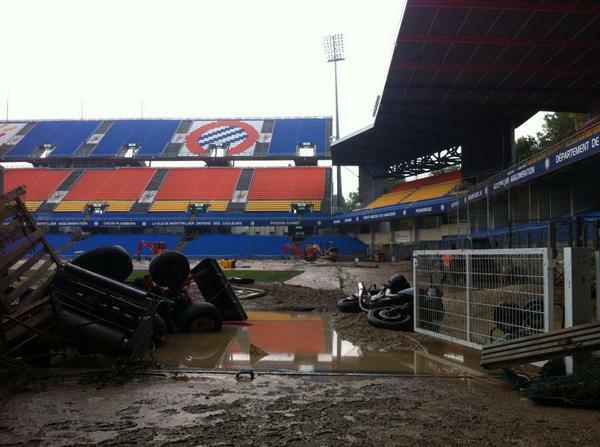 Ligue 1 side Montpellier HSC are reeling today after their stadium was absolutely devastated by freak floods on Monday evening. 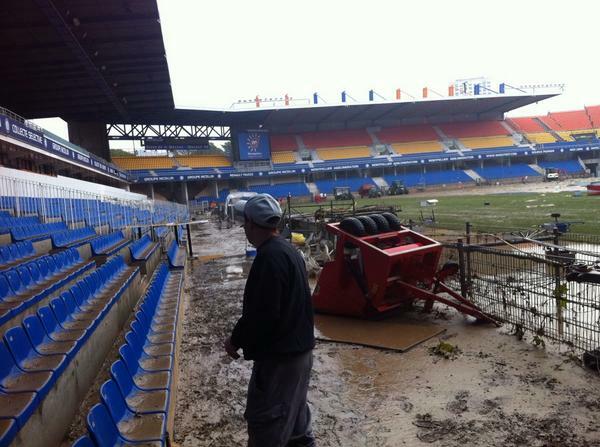 According to RFI, the city in the south of France was hit by a torrential downpour on Monday night which flooded the city and forced thousands of people to sleep in railway stations, airports and schools. 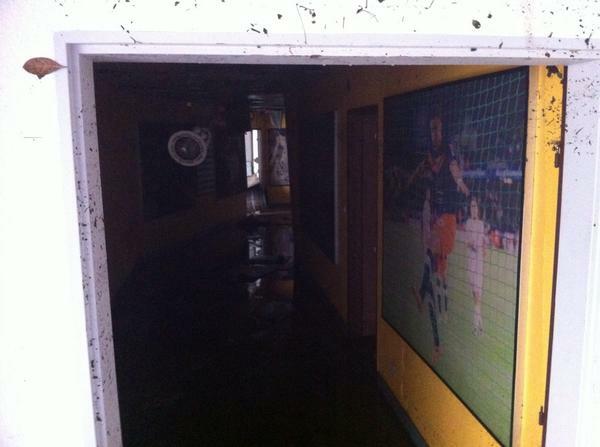 The Ligue 1 side’s Stade de la Mosson was also temporarily submerged, with three-metre-deep flood water causing thousands of pound’s worth of damage both inside and outside the stadium. 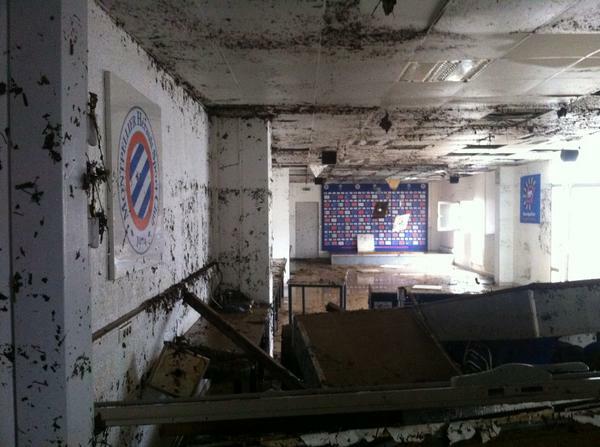 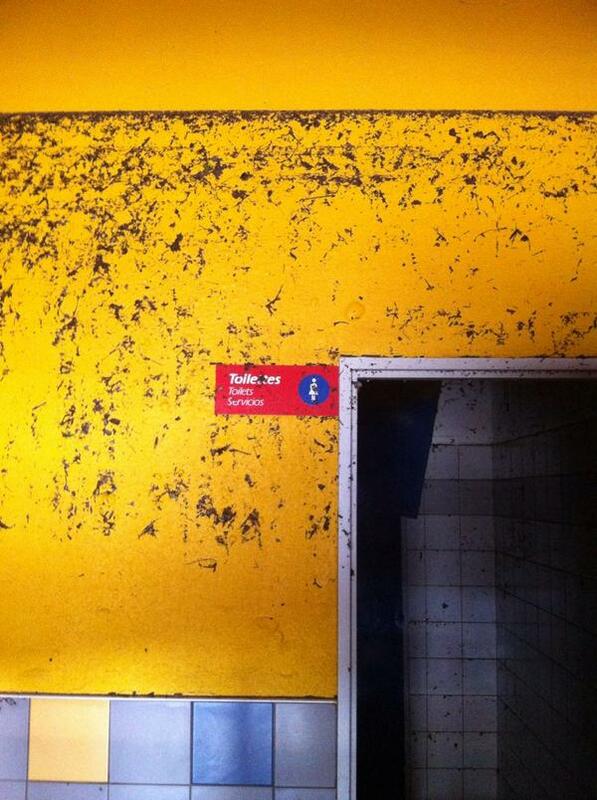 As the club themselves stated via Twitter – “Catastrophique”.